I know that this is meant to be the section for fun, but I suppose that the chatroom I'm taking about was so bad that it was funny. I first discovered the chatroom called Ghostchatter around 2006 (it no longer exists), I thought it would be a great place to chat to like-minded folks about the paranormal. Good grief was I wrong! Run by a dictator that went by the username Genesta, whose rules were of the kind you might find in North Korea, except North Korea had more freedom. Mention anything except the paranormal - BANNED! Don't create a full profile including profile pic with 5 minutes of joining the chat - BANNED! Be logged into the chat, but don't post anything for around 2 minutes - BANNED! Interrupt someone telling a ghost story, which includes logging into the chat halfway through the story and saying "Hello" - which means you couldn't know that someone was telling a story - BANNED! 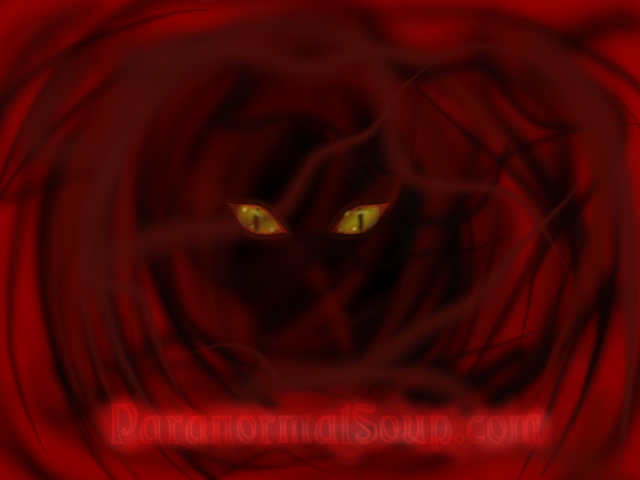 Bring up a ghost story, a haunting, or some other paranormal event that you hadn't experienced personally - BANNED! Those are the reason to be banned that I remember, but there were a lot more. I ended up banned after I answered my phone and stayed logged into the chat. Oh-oh, I hadn't posted for 2 minutes. Word got around on other paranormal forums about Ghostchatter and Genesta would post on the forums guns blazing denying everything, we were all liars etc. You couldn't make it up. Did anyone else experience Ghostchatter.com and Genesta's dictatorship? Hey, I moved this to the off-topic chit-chat. I felt it be better in this section than it would be in The Funhouse. Anywho, I hate people like that. I got banned from a forum once because the owner's mom was being really rude and mean to me, and I had the nerve to defend myself. Thanks for moving it, I wasn't sure where to put it. Sounds like you were better off out of the forum! Wow! That "Genesta" sounds like a real piece of work. She really was. I'm almost sorry that it's not around anymore for others to experience. I forgot to mention in my original post; Genesta and her house were featured on Ghost Hunters. Steve and Grant (the hosts and investigators) determined that her house wasn't haunted, it was just old and creaky. Genesta really wasn't happy about that. Edited by sherinator, 29 August 2017 - 01:36 PM. Um do people want a chat room? I actually setup 2 different types and made CK moderator ... oh and no he doesn't know yet ... heya CK ... I was waiting for him to bump his chat room thread also I wanted to tweak my ON Air / OFF Air script so people had a clue when it was active. Personally, I think a chatroom would be a great idea. The problem is that no one is on at the same time, due to living in different places, work, family, etc. And it gets frustrating when someone shows up, and no one is ever there. We've been holding off on chat for now. But we'll see what the next update brings. And like Frootloops said, it's hard to assign a time when we have members spread out all over the world. And then with various work schedules, it's just not an easy task trying to meet up. I know CK tried it for awhile but without a lot of success.